We’d love your help. 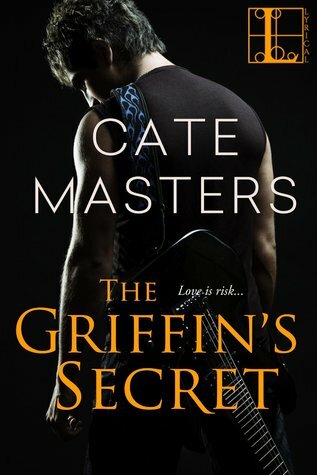 Let us know what’s wrong with this preview of The Griffin's Secret by Cate Masters. Music is what Layla lives for. She has no choice. She’s bound by magic to serve Malcontent, cursed to propel them to stardom with her musical powers. Then Jackson appears and gives her hope that he’s the hero who will save her. A reluctant hero, yet one she can’t resist. But freedom will come at price—and who will pay…? To ask other readers questions about The Griffin's Secret, please sign up. I wish I liked this book because I was so so excited about it. I like old fairy-tales and The Griffin is one of my favorites so you can guess my disappointment when I read this book and I just didn't like it. Like I said while starting this book: I had too many expectations.... and it backfired on me. I think that my main struggle with this book was its pace. It was way too fast. All the characters were rushed through the pages all the time and that made it really difficult for me to develop any kind of feeling towards them. As a result I didn't care for any of them whatsoever. I couldn't sympathize with Jackson nor Layla. I couldn't even hate Mal. I felt like the events were just put there without any connection with the storyline. Those things I was able to see from, gee, chapter two. Honestly, I was bored while reading this book and yeah, there isn't much I can say or do about it. And I wanted to write more about it but I just don't feel like it. Jackson Grant is cursed. Haunted by the tragic death of his girl-friend and cursed by her mother, he hits the road. After meeting a man named Grundy, he gets a tattoo and is off to California to be a roadie for a rock band, Malcontent. He meets Layla who is off-limits. Layla is bound to the band or rather the leader of the band, Mal. I wasn't sure what to expect from this book but I was pleasantly surprised. I quite enjoyed it. It wasn't without flaws but the story itself held me bound. It was a Jackson Grant is cursed. Haunted by the tragic death of his girl-friend and cursed by her mother, he hits the road. After meeting a man named Grundy, he gets a tattoo and is off to California to be a roadie for a rock band, Malcontent. He meets Layla who is off-limits. Layla is bound to the band or rather the leader of the band, Mal. I wasn't sure what to expect from this book but I was pleasantly surprised. I quite enjoyed it. It wasn't without flaws but the story itself held me bound. It was a bit dark in places but never got too dark. This is a novella so there wasn't a lot of time spent in development of characters or plot but there was enough that kept me satisfied. I was slightly disappointed in the ending though. It seemed so rushed. Overall I'm glad I got to read it and I will search out more from this author. I will recommend this to Romance fans this like paranormal elements. When two cursed souls cross - you never know what might happen. Jackson is running from anything and everything he just might fall in love with. It all gets taken from him - his curse to lose that which he loves most. So when he meets Layla, he will do anything to keep her distant. Layla has a different curse - one that is slowly sucking her energy away piece by piece. She would do anything to be free, but has given up hope of being rescued. Her curse is a particularly nasty one - mostly because When two cursed souls cross - you never know what might happen. Jackson is running from anything and everything he just might fall in love with. It all gets taken from him - his curse to lose that which he loves most. So when he meets Layla, he will do anything to keep her distant. Layla has a different curse - one that is slowly sucking her energy away piece by piece. She would do anything to be free, but has given up hope of being rescued. Her curse is a particularly nasty one - mostly because of the person currently in control of it. He's a serious piece of work and made an amazing bad guy. Magic is a given and assumed in this world - which I wasn't expecting right off the bat - so it threw me off just a little at first. The magic is subtle at times and comes roaring to life other times. I loved the music aspects and the chemistry between Jackson and Layla from the very beginning. The book wraps up with a very exciting and happy ending that was quite satisfying. After losing everything he loved, Jackson was left cursed by his dead girldfriends mother. He can never fall in love again or the one he loves will die. To keep his heart and the potential of another, he keeps to himself. Fate has other plans for Jackson. When he meets a mysterious old man, he ends up with a tattoo he didn't choose, words that don't make sense and a gig as a roadie with the world's most popular band, Malcontect.. The last thing Jackson was expecting was Layla. Music is Layla's li After losing everything he loved, Jackson was left cursed by his dead girldfriends mother. He can never fall in love again or the one he loves will die. To keep his heart and the potential of another, he keeps to himself. Fate has other plans for Jackson. When he meets a mysterious old man, he ends up with a tattoo he didn't choose, words that don't make sense and a gig as a roadie with the world's most popular band, Malcontect.. The last thing Jackson was expecting was Layla. Music is Layla's life and as much as she loves it, she also hates it. The women in her family have been cursed and she is bound to serve Malcontent and with her musical powers, she has no choice but to get them to the top. Her freedom and happiness start to fade until she meets the new roadie Jackson. He gives her hope. Jackson has been warned to stay away from Layla but he can't stand to see the pain in her eyes and wants nothing more than to hold her in his arms and take her away from Mal. The closer Jackson and Layla get the more dangerous. Jackson is determined to set Layla free, even if it costs him everything. I loved the magical aspect of this book. It was entertaining. Two cursed souls, destined to be with each other and just like in those fairy-tales. In the end good overcomes evil and love truly does conquer all. I was actually surprised at how much I enjoyed this little paranormal-esque story. We have two key players, but of course -- Jackson and Layla. Jackson is looking to eventually play music on his own but realizes he'll need to learn the ropes before going on that venture. Looking for a job, he ends up as a roadie for Malcontent, one of the biggest bands around. How did he find this job, though? After an accident, he was picked up by some shor Received a review copy in exchange for an honest review. How did he find this job, though? After an accident, he was picked up by some short troll looking guy who gave him a tattoo for free. The catch? Jackson couldn't choose the tattoo. This little man said that the tattoo was to choose the person and the one that chose Jackson? A griffin. The tattooing process was painless -- so much so that Jackson was convinced the man didn't even needle him. It was after that the tattoo began to burn -- and he learns that it burns during key times and near key people. Layla was thrown into the music world. She grew up in it and unfortunately for her, she is linked to a specific guitar -- and therefore, she is the key to Malcontent's success. I loved that Jackson was immediately drawn to Layla and wanted to protect her. Equally, I loved that Layla recognized that Jackson could be her escape, but he would get hurt in the process so in turn, she protected him. Jackson Grant is cursed. After the tragic death of his girl-friend he is cursed by her mother. One night he meets an unusual man named Grundy, he gets a tattoo, offers words of wisdom, and is off to the West Coast to be a roadie for a rock band, Malcontent. When he meets the band, he also meets Layla. Layla is bound to the band leader, Mal, who lets Jackson know she is off-limits. I was pleasantly surprised by this book. The story itself was interesting. There was a lot of suspense and intrigue. Jackson Grant is cursed. After the tragic death of his girl-friend he is cursed by her mother. One night he meets an unusual man named Grundy, he gets a tattoo, offers words of wisdom, and is off to the West Coast to be a roadie for a rock band, Malcontent. When he meets the band, he also meets Layla. Layla is bound to the band leader, Mal, who lets Jackson know she is off-limits. I was pleasantly surprised by this book. The story itself was interesting. There was a lot of suspense and intrigue. I loved the paranormal aspect of this book and it does get a bit dark, but never got too dark. This is a short story so there wasn't a lot of character development. The plot though, was intriguing enough to keep me reading. It was entertaining and very creative. The plot twists and turns, and just like fairy tales, good conquers evil. Jackson is cursed. His curse won’t let him love again without the girl dying from his curse. Layla has her own problems. She is bound by magic to the lead singer in a mega band, Malcontent. All she wants to do is break free. When she meets Jackson she realizes with him she wants to break free even more. Can the two of them break their curses or will they pay the ultimate price? I really liked this story. Its a bit shorter than a normal novel but you still get the full impact of the characters and Jackson is cursed. His curse won’t let him love again without the girl dying from his curse. Layla has her own problems. She is bound by magic to the lead singer in a mega band, Malcontent. All she wants to do is break free. When she meets Jackson she realizes with him she wants to break free even more. Can the two of them break their curses or will they pay the ultimate price? Jackson Grant has been cursed by his dead girlfriend's mother and he can never fall in love again or his beloved will die. He gets involved with Layla who has been bound by magic to serve a band into stardom against her will. The premise was interesting and unique. The character development was a little weak so I never fully invested into the characters which resulted in it being an enjoyable but "light" read for me. I would have liked more time spent in showing the ups and downs that the characters had so that you could invest more deeply in the story. However, I did enjoy the book. An intriguing mix of rock music, life in the spotlight, and folklore. Layla is a muse whose abilities have propelled the rock bank Malcontent to superstardom. Layla is bound to the lead singer, Mal, through a special guitar. Jackson Grant is cursed after a tragic accident claims the life of his girlfriend. He ends up working as a roadie for Malcontent, where he and Layla come in contact. The author does a great job of developing their relationship, especially with Jackson’s desire to protect Lay An intriguing mix of rock music, life in the spotlight, and folklore. Layla is a muse whose abilities have propelled the rock bank Malcontent to superstardom. Layla is bound to the lead singer, Mal, through a special guitar. Jackson Grant is cursed after a tragic accident claims the life of his girlfriend. He ends up working as a roadie for Malcontent, where he and Layla come in contact. The author does a great job of developing their relationship, especially with Jackson’s desire to protect Layla. She’s a wonderful character and the paranormal elements are well executed. My favorite part was how the author wove a surprising tie to a musical legend. A very clever twist that provided a highly satisfying ending. This story was a good blend of paranormal and contemporary romance. I liked learning about the powers the characters had and how they impacted their lives. It felt like there were fairy tale aspects of this story - like a Brother's Grimm tale. The story fell apart for me because things moved so quickly. It made it hard to make emotional attachments to the characters because I didn't know enough about them or their emotions. This is a short story re-telling of Grimm's Fairytale, The Griffin. Let me start off by saying that story is well-written and the pacing was fine. I have never heard The Griffin fairytale, so I have nothing to compare this to. However, I was feeling a little lost as I was reading. I did not know why things were happening or what Jackson's curse was. So after I got about halfway through the story, I found myself going back to read the synopsis. I did not read it prior to reading the story... some This is a short story re-telling of Grimm's Fairytale, The Griffin. Let me start off by saying that story is well-written and the pacing was fine. I have never heard The Griffin fairytale, so I have nothing to compare this to. However, I was feeling a little lost as I was reading. I did not know why things were happening or what Jackson's curse was. So after I got about halfway through the story, I found myself going back to read the synopsis. I did not read it prior to reading the story... sometimes I do, sometimes I don't. Sometimes I skip it because I like to be surprised by the book. However, this is the case where you absolutely NEED to read the synopsis. It's actually part of the story. If you don't read it, you will not know how Jackson got cursed (other than simple references to the curse until he tells the whole story to someone in the second half of the book). So once I did the preliminaries (albeit late), I was more tuned into the story and understood what was going on. Since I didn't know the original Griffin fairytale, this was just a short story for me about a pair of curses, sacrifice and love. The griffin is Jackson (obviously), a bike-riding musician who can't risk falling in love. He joins the band Malcontent as a roadie, and is instantly captivated by Layla. Layla isn't part of the band, but is forced to travel along with them on tour by her own curse. I liked both Layla and Jackson well enough, but I didn't have a great connection with either character. This has more to do with the length of the book than the writing - there just was not room enough to provide the details that would draw you in to connect with anyone in particular. Regardless, I liked the story and it was a nice way to spend my lunch break. I think maybe I should have looked up The Griffin tale before I read it, just so I had some background info. I would have enjoyed it more with the background, and also if it was longer and more detailed. I like really developed characters, knowing who they are and what their role is in the story. The secondary characters we meet in the beginning - I wasn't sure what purpose they had, so I would have like to see their roles expounded upon. Same with some of the band members and roadies who were under Mal's spell - I would have liked some info on how that was accomplished. But otherwise, it was not bad. I like paranormal books almost as much as I like biker books so I was pretty happy when I got an ARC for The Griffin’s Secret. Unfortunately this was just a so-so book for me. A longer book would have made a much better book since so much of this book was tied in to things that we were told of and not shown. I think if we had been there for Jackson’s tragic motorcycle wreck that his Sarah died in, we would have felt his despair more. I would have also liked more of the history between Mal and La I like paranormal books almost as much as I like biker books so I was pretty happy when I got an ARC for The Griffin’s Secret. Unfortunately this was just a so-so book for me. A longer book would have made a much better book since so much of this book was tied in to things that we were told of and not shown. I think if we had been there for Jackson’s tragic motorcycle wreck that his Sarah died in, we would have felt his despair more. I would have also liked more of the history between Mal and Layla so we could get more of the hopelessness feeling that the author was trying to convey, but missed the mark on. I would have loved to know more about the other roadies. I wish we could have seen more chafing against their bonds like Layla was doing than we actually saw. The way they acted, I really didn’t understand Layla’s actions towards them at the end of the book. Some quality time with the roadies would have made the ending make more sense (yes I know I’m being vague but I’m trying really hard to not spoil anything for you). It’s a short paranormal story and that format works well for a lot of people. It wasn’t a bad book, I just wanted more and felt like I was missing out. Not sure what was ever happening in this book. It jumped into this world that I never understood enough to like, and then proceeded to describe things with a thorough lack of consistency or detail . Apparently this is modern day but with magic? But not everyone knows about it? But most people do? Hell if I know. The weird inconsistencies with the setting were just compounded by how vague and confusing the plot was. Jackson has shadowy issues, randomly sees a friend and meets a guy who he lets ta Not sure what was ever happening in this book. It jumped into this world that I never understood enough to like, and then proceeded to describe things with a thorough lack of consistency or detail . The weird inconsistencies with the setting were just compounded by how vague and confusing the plot was. Jackson has shadowy issues, randomly sees a friend and meets a guy who he lets tattoo him while there are lots of misty allusions to "magic" and "fate" and "destiny". Then he does off and it's like none of that happened and he's just looking for a job? Not to mention his out-of-nowhere insta attraction to Layla. They are literally having a (weird as hell) conversation where everything is as normal as it can be in this book, then he's talking about how he'll have to work really hard to stay away from her. Why?? Where exactly did this conclusion come from? Just read like a rough draft,even though it had the bones for a really intriguing story. Well let me see, I really loved the premise for this book but the execution of this story was lacking a bit. There were great leaps in logic that left the reader in the dust since none of the really crazy things that happened to Jackson seemed to come as any surprise even though it was supposed to in the story. It does move the story along at points because it follows almost no logic and jumps from one point to another at random times. If I allow myself to ignore that the story does proceed along Well let me see, I really loved the premise for this book but the execution of this story was lacking a bit. If I allow myself to ignore that the story does proceed along a somewhat predictable path which is not a bad thing in all instances but it seems to slow down around the 60% mark and I was almost scanning but managed to read through and enjoyed the ending. The last insult was when I got to the 85% mark and SURPRISE, that is the end of the book, the rest if filler and promo so since the book is listed as 133 pages I am pretty sure that included the promos so it becomes an even shorter book than I thought. From the very beginning with the motorcycle wreck, voices and the strange Gundy in the old truck I was hooked in reading The Griffin's Secret by Cate Masters. I would never have thought of it myself but the dark moody retelling of the Grimm tale fits perfectly within the rock music world. Creatively, uniquely written. The flawed cursed characters, Jackson and Layla had me rooting for them to break their individual curses. The villain is one that you can’t help but love to hate. 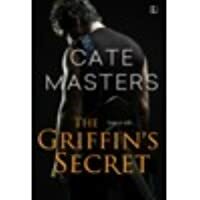 I couldn’t find a From the very beginning with the motorcycle wreck, voices and the strange Gundy in the old truck I was hooked in reading The Griffin's Secret by Cate Masters. I would never have thought of it myself but the dark moody retelling of the Grimm tale fits perfectly within the rock music world. Creatively, uniquely written. The flawed cursed characters, Jackson and Layla had me rooting for them to break their individual curses. The villain is one that you can’t help but love to hate. I couldn’t find a drop of sympathy for Mal at the end. Some of the other roadies, I liked better than others. Much like it is in life so I appreciated that the author did not fit them into a certain kind of stereotype. As for the curses, mistakes made in their youth caused Jackson and Layla to pay an unbearable price. Not a particularly long tale but it had all the elements to maintain my interest, then bringing the story to a satisfactory conclusion. While I don’t remember reading any other books by this author, I will certainly be on the lookout for her work from now on out. Copy provided by the publisher through Net Galley for an honest review. The Griffin's secret is the brother grimms retelling. Two people must give up everything in order to survive. Thanks to a motorcycle accident Jackson lost his girlfriend and her mother didn't take it well. She cursed him for living and her daughter not. Layla has been Mal's prisoner for a while. Does he love her? care for her? treat her right? yes and no. But her life has been far from easy. She does what she has to thanks to the curse. Now two are on tour with Malcontent. Will they both survive The Griffin's secret is the brother grimms retelling. Two people must give up everything in order to survive. Thanks to a motorcycle accident Jackson lost his girlfriend and her mother didn't take it well. She cursed him for living and her daughter not. Award-winning author Cate Masters loves stories of any genre. Multi-published in contemporary to historical, fantasy/dark fantasy to paranormal, she sometimes mashes genres. Look for her at http://catemasters.blogspot.com and in strange nooks and far-flung corners of the web. Cate loves to h Award-winning author Cate Masters loves stories of any genre. Multi-published in contemporary to historical, fantasy/dark fantasy to paranormal, she sometimes mashes genres.